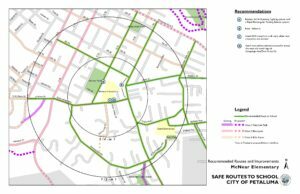 A Safe Routes to School plan was prepared for 14 public elementary schools in the City of Petaluma including observations at each school during the morning drop-off and evening pick-up periods, as well as meetings with principals, police and PTA members at each school to discuss safety concerns. 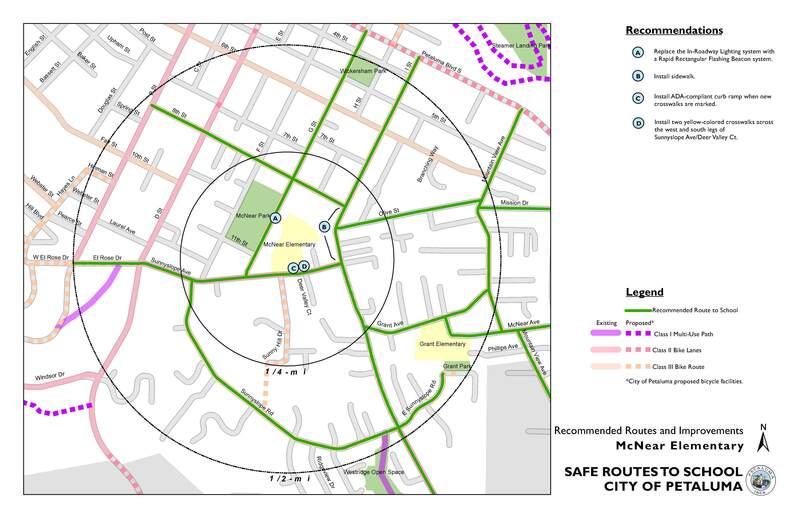 Pedestrian and bicycle facilities were documented and evaluated within a half-mile radius of each school, including sidewalk connectivity and condition, crosswalk and crossing guard locations, school-related signage and pavement markings, and current walking routes. Engineering recommendations were made for safety improvements to transportation facilities near each school to benefit walkers and bikers. This project involved coordination with City staff, the Petaluma Police Department and the three school districts involved.